Ans: The Standard Shipping cost for all orders above $30 is free. For orders below $30, a shipping charge of flat $5 is applicable. We also have the Express Shipping option, please check your shopping basket for the charges because they are automatically calculated. What do you mean by format, potency and size? Q. What do you mean by format, potency and size?? Ans: "Format = the homeopathic medicine being dispensed either in Pellets of Tablets form Potency = the drug strength of a homeopathic medicine is called potency Size = the pack size of the product being purchased by you". 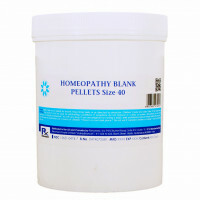 What is the difference between a homeopathic tablet and pellet? Q. What is the difference between a homeopathic tablet and pellet? Ans: Traditionally, homeopathic medicines have been used in pellet format i.e. round spheroid shaped globules made of sugar or lactose, where as tablets are flat-round shaped made of lactose. However, efficacy or drug strength wise, it makes no difference whether a homeopathic medicine is administered in Pallet or Tablet form. In what potency or drug strength are homeopathic medicines commonly sold? Q. In what potency or drug strength are homeopathic medicines commonly sold? Ans: Homeopathic potencies are commonly represented on two types of scales X (decimal scale) or C (centesimal scale). Either of the scales do not generally modify the efficacy of a medicine, however the drug keeps getting stronger as we go up on the scale. Therefore for beginners its advisable to start any medicine from 30C and if it doesn’t help then one can go upto 200C also. But 1000C, 10M, CM etc should be used only under professional care. Further, the cell salts are commonly used in X form and the advisable potency to start with is 6X. Q. What What are Single Remedies? Ans: Generic Homeopathic products which contain only one active ingredient and sold in various formats, potencies and forms. Examples of such single remedies are Arsenic Alb 30C, Bryonia 200C, Nux Vomica 200C etc. What are Combo Packs? How can we order them? Q. What are Combo Packs? What are Cell Salts or Biochemic System of Medicine? Q. What are Cell Salts or Biochemic System of Medicine? Ans: Cell Salts is the term used to identify a Biochemic Medicine. Dr. Schuessler, a Physician from Germany, evolved the Biochemic system of Medicine which is now a popular branch of Homeopathy. He discovered that Human Body basically consists of 12 Tissue Salts and any imbalance in the quantity of these salts leads to ill Health. He proved that once these Salts are suitably replaced, the body restores normalcy. Ever since, this science of Healing is proclaimed for its efficacy and rapid action. Cell Salts are wonderful in the curing of almost all those age-old medical problems as well as ailments of this fast paced computer-age world. How do we use homeopathic medicines? Q. How do we use homeopathic medicines? Ans: In Acute condition take 3 doses every 5-15 minutes depending on severity, then hourly for 2-3 more doses if needed. Once symptoms show improvement, stop dosing and let the body respond to the medication. In less Acute conditions medicine can be taken as needed but should be stopped with improvement. What general guidance can you offer about using homeopathic medicines? Q. What general guidance can you offer about using homeopathic medicines? Ans: The number of tablets or pellets per dose does not matter, how often a dose is repeated matters more. The higher the potency, the less frequently it is to be taken. What are the general precautions to be followed while using homeopathic medicines? Q. What are the general precautions to be followed while using homeopathic medicines? Ans: Avoid hand contact with medicine until they are under tongue. White paper or the container’s cap can be used to dispense or count the pellets/tablets. Another important thing to remember is that it is wise to avoid any substances that might interfere with your remedy. Certain substances have been found to reverse (antidote) the effects of homeopathic remedies and medicines. It is suggested that the use of following may be avoided during the course of treatment: Coffee, Camphor, or camphorated products including products containing eucalyptus and camphor oils, Electric blankets, Mint, or mentholated products, Nicotine, Recreational drugs, X-Rays, lot of Stress. Do you sell homeopathic prescription drugs? Q. Do you sell homeopathic prescription drugs? Ans: "At this point of time, we do not carry prescription drugs. However it’s important to note that most homeopathic medicines come under the OTC or Over-The-Counter category and can be sold without a prescription. Therefore if you do not find a particular medicine that you are looking for on our website, please feel free to contact us, we might have it in store". Do you sell only homeopathic drug products? Q. Do you sell only homeopathic drug products? 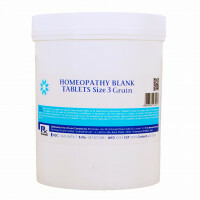 Ans: Yes, at present we sell only homeopathic drug products. What are OTC or Over-the-Counter products? Q. What are OTC or Over-the-Counter products? Ans: "A category of healthcare products which can be purchased from any retail outlet or website without a doctor’s prescription”. Q. Do homeopathic medicines have an expiry date? Ans: "Homeopathic medicines do not have a shelf-life unless and otherwise specified on the bottle". Q. What are the different modes of Payment? Ans: The different modes of payment available are CCNow, PayPal and Amazon. What do the letters HPUS mean? Q. What do the letters HPUS mean? Ans: The letters HPUS indicate that these ingredients are officially included in the Homeopathic Pharmacopoeia of the United States.